I am applying principled sequential decision-making techniques to plan the motion of robots, and to provide decision support for security guards, both of which patrol and respond to unpredictable events in a closely-monitored environment. Today's energy distribution is becoming more and more challenging due to the integration of traditional power plants, large-scale micro-generation units (e.g., solar fields), and unpredictable renewable energy sources (e.g., wind). 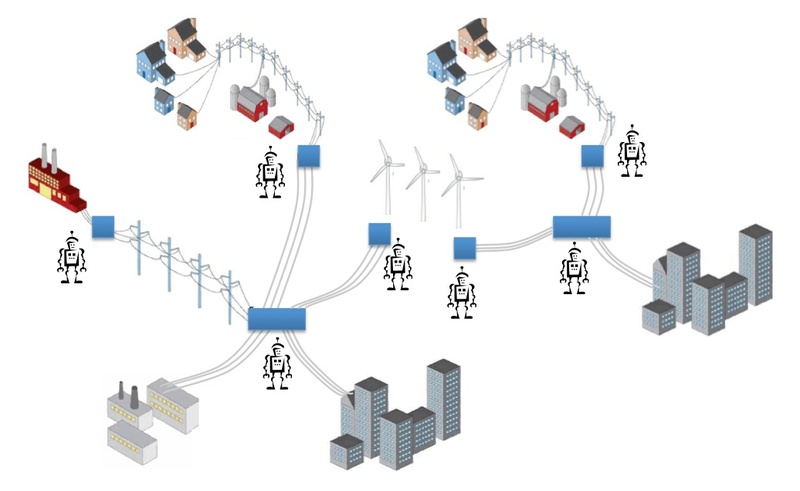 I propose that, by leveraging recent advances in multiagent planning and optimization, future smartgrid operation can be made safer, more efficient, and more economical. 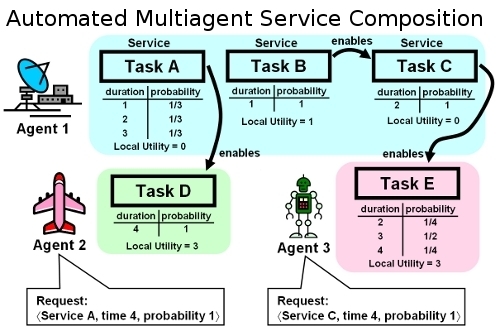 I developed agent-based methods for orchestrating complex activities that require coordination of interdependent services (e.g., web services, low-level control methods, or any other time or resource-intensive tasks). This work led me to formalize influence-based policy abstraction and advancing the state of the art in planning efficiency and scalability for weakly-coupled agents acting under uncertainty. My entrance into multiagent planning research came from examining a rich problem context: how to strategically coordinate the operations of military field units, whose individual contributions to the mission are performed in a dynamic and uncertain environment. I developed high-level methods for controlling unmanned vehicle swarms using the potential fields formalism (inspired by ant colonies and by gravitational fields). 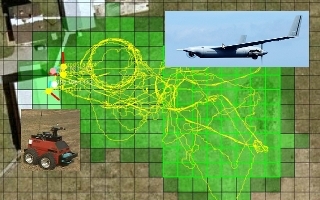 My methods were then evaluated in simulation and on unmanned ground vehicles (UGVs) in a variety of war game scenarios, and have since proven practical for unmanned aerial vehicles (UAVs). 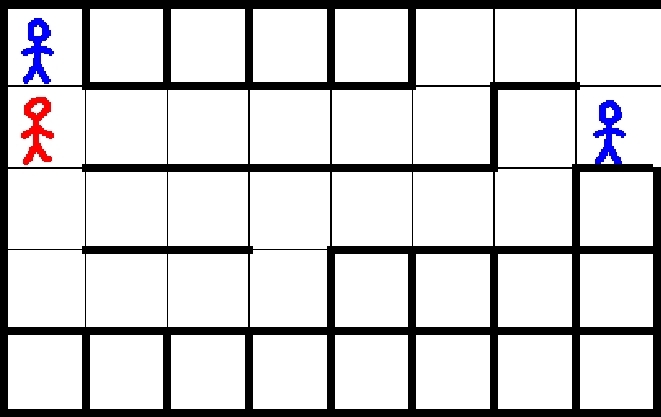 Here I developed a simple grid-world game that simulated a jail break, wherein two guard agents were trained simultaneously (but independently) using Temporal Difference Q-Learning of Neural-Network-encoded policies. See my PGTG webpage for the intriguing results, demo videos, and testbed code.